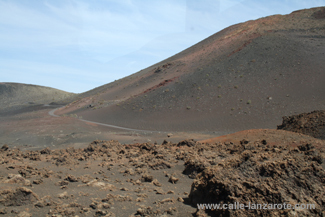 It is perhaps a bit unusual that I had been coming to Lanzarote for 10 years before I finally took the tour of Timanfaya National Park, and for many tourists it is probably one of the first places that they take an excursion to. But for whatever reason, I had only driven past the entrance until now, which does not mean that I had not seen photos and films of what to expect. The day of our visit must have been a popular choice, because the cars were queued back onto the road (LZ-67) when we arrived. An efficient member of staff was going along the queue, handing out leaflets and enquiring as to the number and age of people in the car. This allowed him to have our tickets ready for us by the time we reached the front of the queue. But the queuing was not over here. We then had to wait on the next piece of road to continue up to the car park. 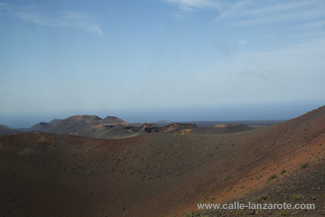 Do you know how much luggage you can take on a flight to Lanzarote? In particular, how much hand luggage? Different airlines allow different amounts of luggage in the hold, but the rules on hand luggage can vary depending on which direction you are flying! Iberia, for example, allows 10kg of hand luggage according to their website, although German regulations only allow 8kg. 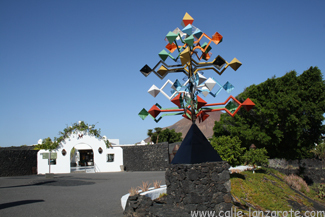 Theoretically you can therefore bring back 2kg more of luggage from Lanzarote than you can take with you. Another complication can be that not every airline follows the IATA recommendations on the dimensions of hand luggage, Lufthansa being one example – and in Frankfurt, Lufthansa provide the check-in facilities for SpanAir. When I first flew to Lanzarote in September 2001, there were understandably very strict restrictions on what you could take onto the aircraft (although you could buy a manicure set from the on-board duty free trolley!) and I took just the bare minimum with me, putting everything else into my suitcase. This caused it to have more than the allowed 20kg, but I pointed out at the check-in desk in Frankfurt that in return I had less than 1kg of hand luggage and so I did not have to pay any extra. Returning with a couple of new books and souvenirs, I had even more kilos in that suitcase. But again, with very little hand luggage this was not a problem. Travelling as a family group can also be an interested experience at the check-in desk, but generally in Frankfurt the family will be considered as a single entity. Thus a family of 3 can check-in a total of 60kg of luggage, as long as none of them on their own are over 30kg. Of course, things do not always have to go so well, as the passengers on a flight to Frankfurt found out last week. Due to the wind conditions in Arrecife, the pilot of a 757-300 had 80 suitcases off-loaded to reduce the weight of the aircraft before taking off. I guess that it is one of the hazards of bringing home souvenirs from Lanzarote – lava is heavy!